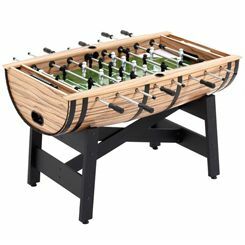 The Mightymast Mini Kick football table top has been designed to provide hours of fun for the whole family. This portable, easy to assemble table top has an eye-catching, glossy black finish and smooth sliding pole action. 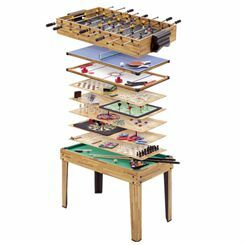 Due to its compact size, the table can be easily stored away. 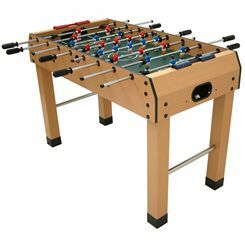 The Mightymast Gemini Football Table is a smart, stylish and easy to assemble football table ideal for home use. 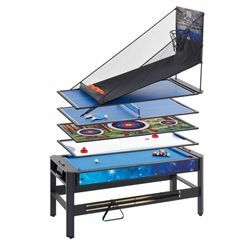 It will be a guaranteed source of entertainment for the whole family or all the guests at your party, including for children over the age of 7. 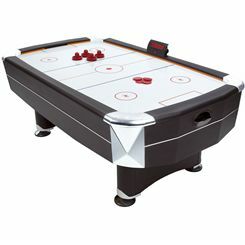 It has made of high quality materials that ensure it is very sturdy and will provide years of excellent service. 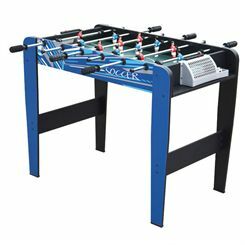 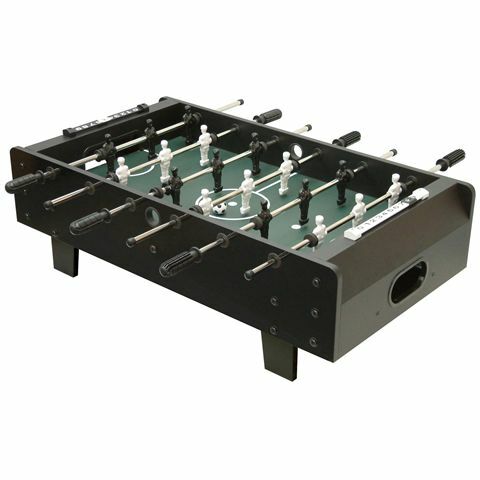 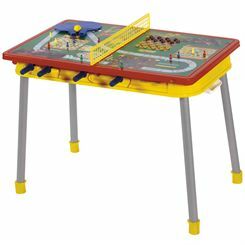 The table football table comes with all the accessories and instructions required to get you playing straight away. 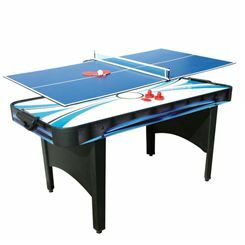 The Mightymast Institution waterproof outdoor table tennis table features a solid construction and is perfect for campsites, swimming pools, pub gardens and leisure centres. 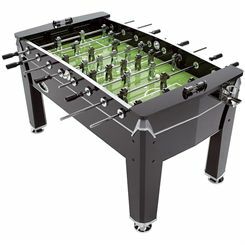 The table has a stylish design and can be bolted to the floor. It is 274cm (108”) long and has a 10mm melamine resin board. 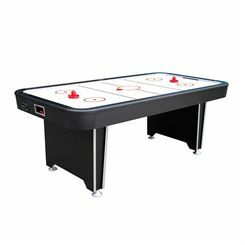 It ensures long hours of excellent fun for the families and friends, and is suitable for intensive commercial use. 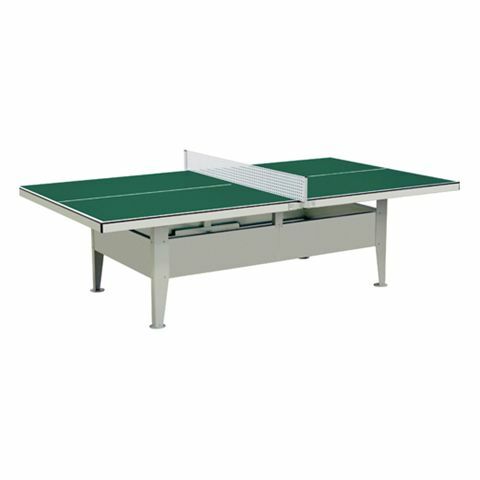 The table offers official ITTF dimensions and comes with a single piece stable metal net made of 4mm thick galvanized sheet steel. 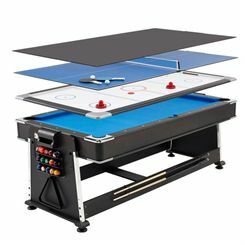 From a Tennis Table Conversion Kit, Sweatband.com stock air hockey tables, football tables, multi-games tables and tennis tables from top brand MightyMast. 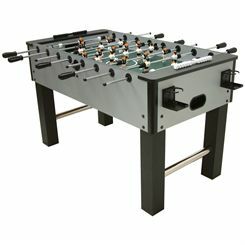 For and fast delivery along with the lowest prices possible, choose Sweatband.com.